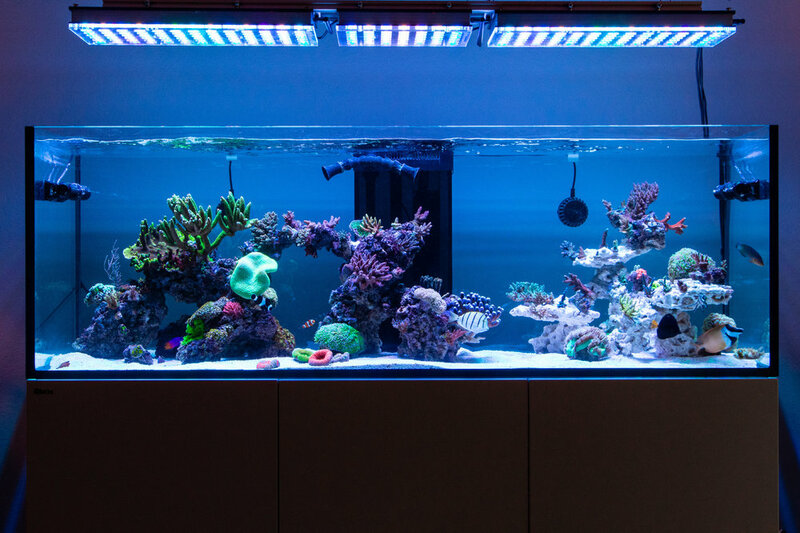 Like all good reef decisions, this one is based off of pure impulse and zero thought whatsoever. I love these lights, they're freaking beautiful. But I'm kinda itching for a change. Orphek Atlantik V4 Gen 2 x 2, Orphek Compact V4 Gen 2 x 1, and Gateway. I realize chances are slim but if you're in the area and you have 3 or 4 Radion G4 Pros, hit me up, let's talk. Why? Orpheks have better coverage. And I love my radions lol. Yea, they’re both great lights. But I think my tank would look really nice with a row of Radions. Im getting people interested in the trade but only out of state. And I can’t wrap my head around the logistics of swapping lights out of state, so local it is. I hear ya. I would trade you in a heartbeat if I had xr30s. I love the orpheks. If you do end up trading though, I would suggest getting diffusers as well for the radions as they really help spread and blend the light. What a pretty tank!! Your glass is SO clean. I love the look of the lights you have. I really like the look and color of the orpheks too. If I wouldn't have already had the radions I might have went that route, actually looked into it twice before I was impatiant and opened the radions. The colors are fantastic and the shimmer is perfect vs the diffused radion in my opinion.